This is an ideal recipe for whole wheat burger buns which makes that rustic soft bun that toasts well, takes in all the juices without becoming mushy. It needs to be a little sweet. Hell yeah! Good Balance…. First lets get the yeast working. Add quarter cup of warm water plus a pinch of sugar to the yeast and leave it aside for 5 minutes so it becomes foamy. If it doesn’t foam, discard and start again with a fresh batch of yeast. I store my yeast in the freezer at all times and it stays for a long period. 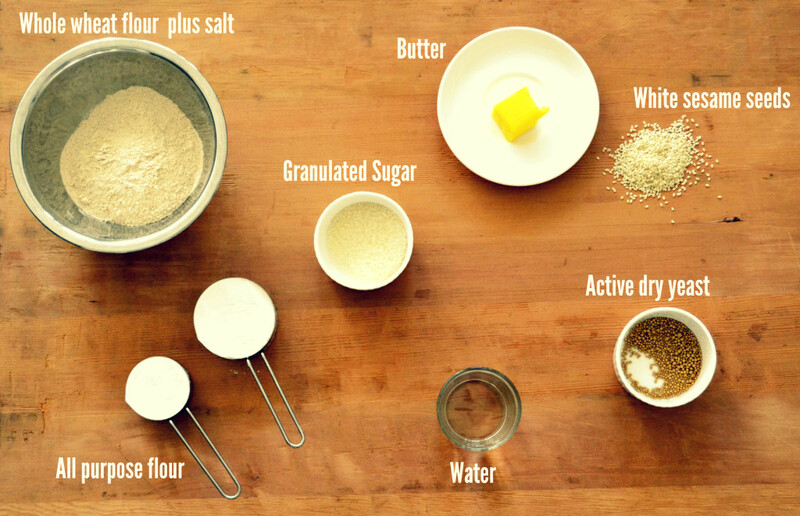 Once the yeast has proved that its kicking and alive, dump all the ingredients – the proved yeast mixture, water, sugar, butter, all purpose flour, whole wheat flour mixed with salt into a bowl and mix with a wooden spoon. We are not trying to knead yet. We are just combining everything together. Once its kinda looks mixed, move away for 15 minutes. Don’t do anything. It hydrates the dough and it becomes a lot easier later to knead. Now start kneading. I did it by hand for a good 5 minutes. The trick in kneading is to avoid the temptation of adding flour. Too much flour alters the moisture content and will result in a dry burger. Dry bread is a sin. so do not add too much flour while kneading. Promise me you wont!. BENCH SCRAPER is my best friend. I use it all the time to get the dough off the surface while kneading. It will stick to your hands like mad. After 5 minutes, it will still be very very tacky and that’s how it should be. Transfer it to a clean bowl and cover and keep it in a warm place for about an hour. It should have doubled in volume.Take the dough and gently deflate. Divide into 6 equal balls.Shape it into a very smooth ball using the cup of your hands. Any imperfection at this stage is going to be reflected in the final bun. so take your time. Place it in an oiled sheet pan and gently press the tops and brush the tops with butter and sprinkle the seeds generously. Now let them rise again for about an hour. In the mean time preheat the oven to 400°F/200°C. Bake the buns for about 15-18 minutes, turning the pans once to help aid even baking. Cool the buns in a rack for 30 minutes. 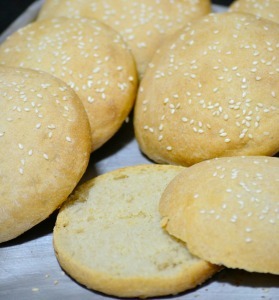 Now, Here is the recipe for whole wheat burger buns ! This is an ideal recipe which makes that rustic soft bun that toasts well, takes in all the juices without becoming mushy. Its a soft whole wheat healthy bun. Whole wheat healthy bread. In a big bowl combine the yeast mixture, water, sugar, butter and the flour mixture briefly and set aside for 15 minutes to hydrate the dough. 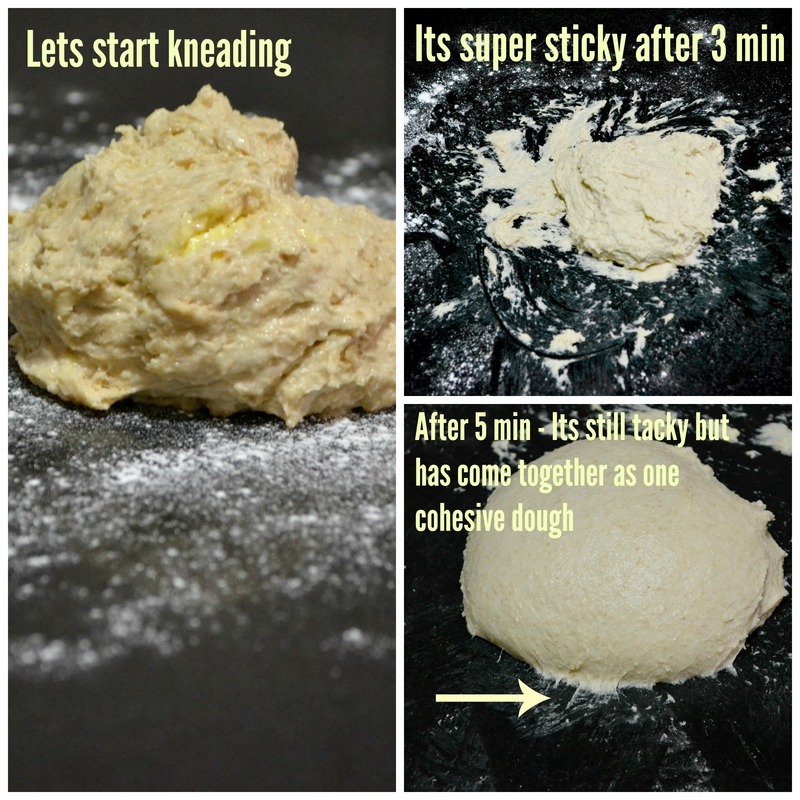 Now knead the dough for a good 5 minutes by hand until the dough comes together and forms a rough ball. It will still be very very tacky. Place the dough in a clean bowl ,cover it and let it rise in a warm place for one hour until doubled. 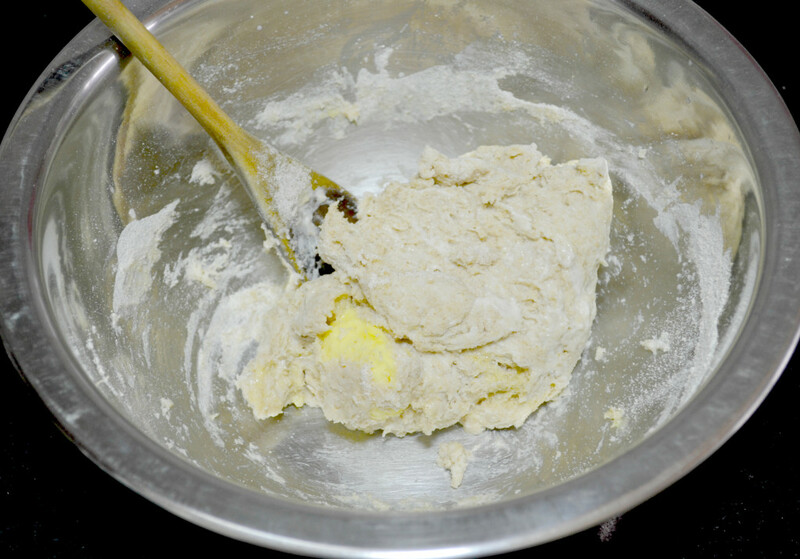 After risen, deflate the dough gently and divide it into 6 equal parts. Shape it into 6 smooth balls using the cup of your hands. Place it in an oiled sheet pan, gently press the tops, brush the tops with butter and sprinkle the seeds generously. Now let them rise again for about an hour. In the mean time preheat the oven to 400°F/200°C. Bake the buns for about 15-18 minutes, turning the pans once to help in even baking. Once out of the oven cool the buns on a rack. Hi! I am a beginner and this recipe is just so motivating! I just wanted to check if I can make this in a convection microwave too?? Yes a convection microwave should work. Personally I never own a microwave! Hello 🙂 Is there a substitute for the Maida? Thanks ! Is it the same procedure for active dry yeast ? Just made these — they were super easy & well worth the time. Fantastic recipe I will use again. Thanks. Thank you! Glad you liked it. Happy Cooking! 1. can i use king arthur’s white whole wheat flour instead of atta? 2. can i bake as a loaf instead of individual buns? 3. may i use instant yeast in place of the regular? #1. You can use white whole wheat. No problem. KAF is my fav flour. 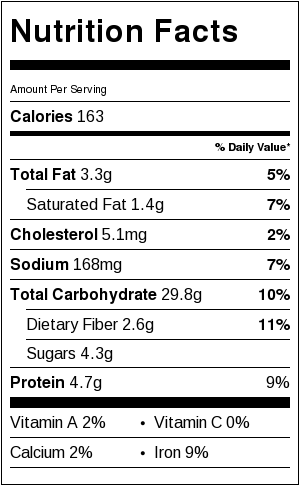 Whole-wheat flour is made from hard red spring or winter wheat, which has a nutty, hearty taste. White whole-wheat flour is made from hard white spring or winter wheat, which has the exact same nutritional value of whole-wheat flour, but because of the variety used, has a milder flavor and paler color. #2. If you want a whole wheat bread in loaf form. There is a separate recipe that i posted. Please check that. #3. Yes. 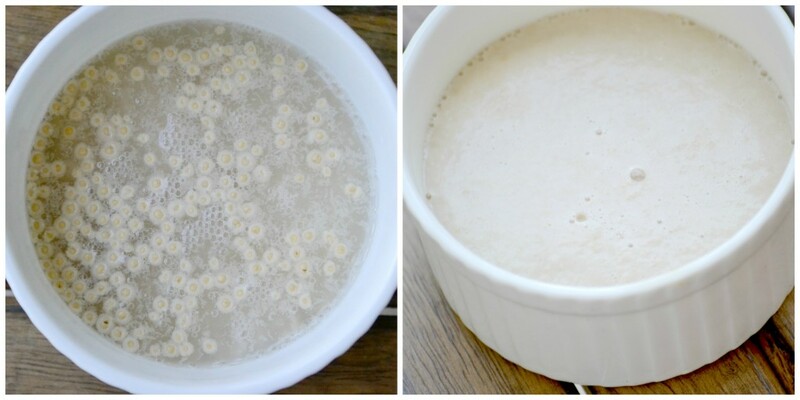 You can use instant yeast. Hi… How long would i have to bake if i made the burger buns very small like mini burger buns? Thanks. It might take 3-4 minutes less. These whole wheat burger buns were very soft and fluffy. Thank for an amazing whole wheat burger bun recipe. Yes Gokul. 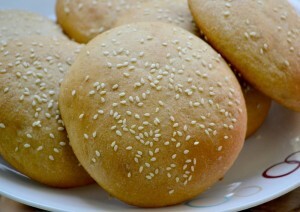 This is a very soft whole wheat burger buns recipe. Thanks for writing in. to others by featuring it on our global platform! would love to connect them through one of the most vital channels i.e. our wall and social media. Featuring your recipes on our home page would be a perk for our eager Indians, who are waiting for Desi recipes and baked goodies ranging from ‘grand’ to ‘on the go’. Sharing your passion for food might rejuvenate the taste buds and senses of millions of Indians living abroad. We’re awaiting your valuable reply. thank you. Sure will do!